20-year-old Russian Grandmaster Ivan Bukavshin has died suddenly, depriving Russian and world chess of a talent that was just beginning to make its mark on a wider stage. The multiple Russian and European Junior Champion appears to have suffered a stroke at a chess training camp, with his death coming just after he’d enjoyed the most successful year of his fledgling career. We look back at that year with quotes from Ivan and those who knew him. Ivan died in a training camp in Tolyatti. In the evening he complained of a headache. It’s possible that Ivan fell and tried to call for help. For now the doctors have given a preliminary diagnosis of a stroke. 2015 was very successful for Ivan. He qualified for the Superfinal for the first time and performed decently. Overall, it was precisely in the last year that he finally took shape as a strong grandmaster with his own unique style of play. I recall Vanya when he was still little, 10 years ago, at the young talent sessions in Dagomys and, it seems, in Novogorsk. I remember how I sat down to play blitz with the young talents – one after another. I beat them all, but Vanya Bukavshin was the only one of the whole company who could beat me. His talent was already obvious back then. It was clear that he’d grow into a serious chess player. Children are usually drawn to active sports. Why did you start playing chess? My first acquaintance with chess came at four and a half years old. My dad told me about the game, showed the pieces and explained the rules. Then on his initiative I began to go to a chess club. At first I did it without any particular enthusiasm, but gradually I became interested and soon, you might say, I was already living for chess. The game attracted me with its depth, how multifaceted it was and the fact that you could continually learn, getting to know more about its nuances and different aspects. As a child, like other children, I loved football, basketball, swimming and many other sports, but it was chess that was for me. Probably it’s all to do with the fact that by character I’m a calm person, so I had no problem sitting in front of a chessboard for a few hours. When did you have your first sporting success? A year after starting to attend classes in the chess club I won the city championship run for children. More serious victories came in 2005 – I took first place in the Russian U10 Championship and was runner up in the World Youth U10 Championship. From that moment it became clear that I had pretty good potential to develop into a strong player. In 2006 my parents took the decision to move me from my native Rostov-on-Don, where I was born, to Tolyatti, so I’d have more comfortable conditions for studying chess. The move to a new city a thousand kilometres from where he was born was so Ivan could attend a chess school, and the gamble paid off. He would go on to win three European Junior Championship titles and become Russian Junior Champion in 2014. Our guys don’t have a convenient flag by their boards from a geographical point of view, by which I mean if Fedoseev, Dubov or Bukavshin lived in some small country, in chess terms, then they’d long since have been playing in strong round robins. For now, though, the organisers are more interested in Kramnik, Karjakin and Grischuk. They don’t need a fifth, seventh or tenth Russian. So our guys need to start by beating their outstanding contemporaries, or winning the World Cup. Only then will they have a chance to gain a foothold at the top. Despite still combining chess with studies at the Ural State Mining University in Ekaterinburg, 2015 was quite a year for Bukavshin, with a run of success starting with clear third place behind Daniil Dubov and Ian Nepomniachtchi in the ferociously competitive Aeroflot Open in March. Bukavshin beat Al-Sayed, Inarkiev, Rapport and Adhiban, drew his remaining games and gained over 20 rating points. He then retained his Russian Junior Championship and in June scored another unbeaten +4 in the Russian Higher League to qualify for the main event – the Russian Championship Superfinal. 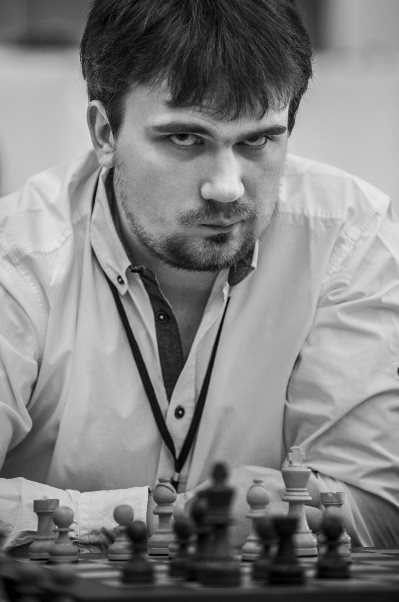 He drew with such stars as Svidler, Karjakin and Jakovenko, beat Khairullin, but had to settle for -1 after losses to Vitiugov and eventual winner Tomashevsky. After Chita it was with great pleasure that I realised that I still play chess weakly and there are still things to learn. The impression really was strong. 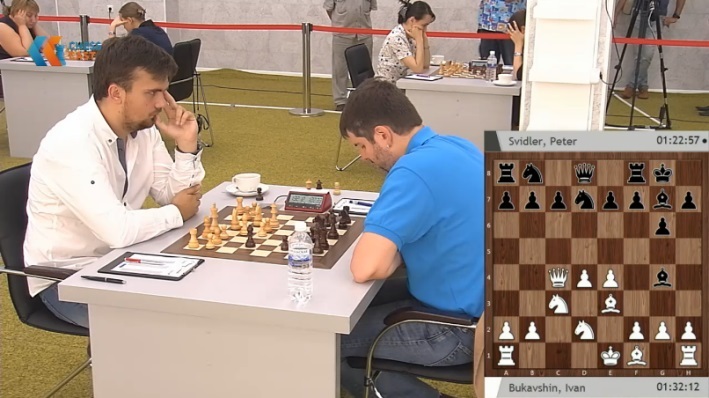 It’s not every day, for example, that I play against Peter Svidler! That both provides you with experience and has a positive influence on your chess outlook as a whole. In the opening I think everyone has now levelled out, except for those people who have analytical teams. The great are superior in all things combined – everywhere by a little bit. When you play against them you realise that and feel it, although the feeling is hard to describe in words. And then, in the same venue, the Russian Cup Final. The event is a 16-player knockout held using a very similar system to the World Cup. Bukavshin had never made it past the first round of a knockout and needed Armageddon in the first two rounds, but in the semifinal against Khismatullin and the final against Kokarev he completed the job in classical chess. It was to be the last big win of the Russian’s career. This year you played excellently at the Aeroflot Open, the Russian U20 Championship, the Higher League and now you won the Russian Cup Final. Why, in your view, did you make such dramatic progress from “promising” to being among the best? There were also two tournaments where I could have made a name for myself: the World Cup and the Superfinal. In the first of them I was knocked out in the first round, in the second I scored -1 and overall I added only two rating points. Of course there were also events I was happy with, including the Russian Team Championship, but I wouldn’t overestimate my progress. At the end of the year there’s going to be the Nutcracker, which will either put the finishing touch to the year or end on a “…”. Overall, though, I’m satisfied with the year! The Nutcracker event at Christmas was mixed. For you is the most important thing in chess the game or the result? Chess is a sport and you can’t get by without the result, but creativity prevails for me. I sometimes get pleasure from a loss, but only if it was a beautiful creative game with doubled-edged play. Which famous chess players appeal to you most? Fischer was ahead of his time in chess and it’s interesting to analyse his play. Kramnik and Kasparov played very strongly, but I feel closest to the games of Viktor Korchnoi, where there’s a creative idea. Without offending anyone I’d note that two of them, of course, are superior to the other two. Artemiev and Bukavshin are already mature, strong chess players who currently only lack experience. That’s visible from their results, victories and high places in tournaments: the Higher League, Aeroflot, the Russian Cup, the Superfinal. In both games against them in classical chess I managed to save myself only with stubborn defence. Alas, we’re now not going to get to see what kind of chess player Ivan Bukavshin would have developed into. He joins the likes of Vugar Gashimov, Elena Tairova, Vesna Rožič, Igor Kurnosov and Karen Asrian, who all died tragically young. Our condolences to Ivan’s family and friends. May he rest in peace.